We offer a complete design service off-plan or from drawings on all concrete floorbeams. 2) Poly Infill System - polystyrene blocks and bricks in place of concrete. All can be made to individual U Value requirements and made to order. We can deliver direct to site or ex-depot to suit your requirements. Contact a member of our Sales team to discuss your specific requirements. 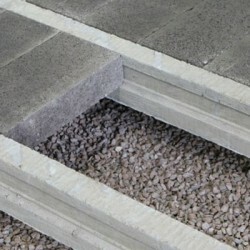 Beam & block flooring system can be quickly installed to form a suspended floor providing a fl..